Never ignore a maidenly swoon. It’s no secret that when you’re pregnant it’s important to keep healthy and ensure you’re eating a balanced diet comprising of fruit, vegetables, protein, whole grains and healthy fats. However, there are some vitamins and nutrients that need special attention when you’re expecting and you need to ensure you are getting enough of them to promote your baby’s growth and development. Folate is a B vitamin that is found naturally in certain foods and folic acid is the synthetic form of the vitamin that is created in a laboratory and added to foods and supplements. In the early stages of pregnancy folate is essential for the healthy development of a foetus, especially the neural tube which is the structure that eventually forms the brain and spinal cord. Folate helps to reduce neural tube defects such as spina bifida so ensure that you are getting plenty of it, ideally starting to take it when you are trying to fall pregnant. 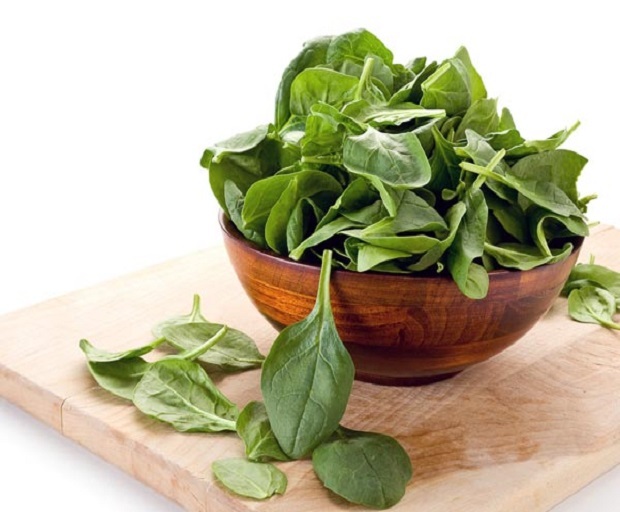 The best source of folate is from leafy green vegetables, beans, legumes and citrus fruits. Calcium is important for you and your baby’s healthy bones and teeth as well as playing an important role in allowing your blood to clot and muscles and nerves to function properly. If you’re not taking enough calcium when you’re pregnant then your body will take it from your bones which is putting you at risk of developing Osteoporosis. Ensure that your diet is rich in calcium to avoid this from happening. Foods that have a great source of calcium include milk, cheese, yoghurt, salmon, cereal and spinach. Vitamin D is important during pregnancy because it helps your body to absorb calcium which keeps bones and teeth strong and healthy. Great sources of vitamin D include salmon, tuna, milk, fortified cereals, pork, eggs and mushrooms. Of course, the other source where you can get your daily vitamin D dose is from the sun. How long you need to spend in the sun to get your daily dose varies between different people, their locations and the time of year but generally about 15 minutes of sunshine is enough for your body to produce vitamin D.
Protein, made up of amino acids, is responsible for the growth of your baby’s cells as well as helping with brain development and blood production. Getting enough protein when you are pregnant is vitally important, especially in the second and third trimesters when your baby grows the most rapidly. The best sources of protein are lean meat, poultry, fish, eggs, legumes, nuts and beans. Iron is found in red blood cells and carries oxygen around our bodies. When you’re pregnant iron is needed to produce extra blood cells to cater for the growth of the baby. Women with low levels of iron during pregnancy become fatigued and are at risk of developing iron deficiency anaemia which can cause premature births and low birth weight. Iron can be found in a number of foods including lean meat, iron fortified breakfast cereals, beans, nuts and vegetables. Occasionally an iron supplement may be needed, especially for women who were iron deficient before they were pregnant. As well as eating a healthy balanced diet, consider taking a pregnancy multivitamin which can boost your vitamin levels.